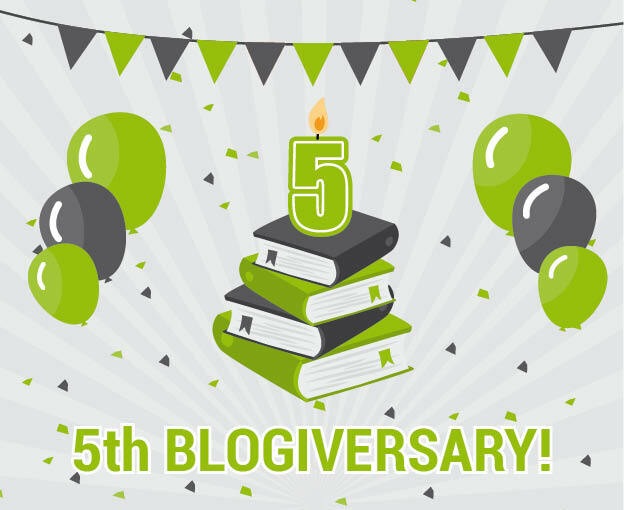 Today is a very special day for me: IT’S THE FIRST ANNIVERSARY OF MY BLOG THAT I DIDN’T FORGET 😀 But seriously: exactly 5 years ago, on January 29th in 2011, my very first blog post went online (it was a review of a book that only got 4/10, so maybe not such a great start into blogging^^) and at that point I would never have expected how much impact blogging would have on my life and also that I would still be blogging 5 years later. I also want to use this post to shout out a big THANK YOU to everyone who has accompanied me on my way during the past 5 years, be it by reading my posts, commenting on my blog, talking about books with me, chatting on Twitter or simply by letting me be a part of this amazing book community in whatever way. It’s not always easy to make friends when you’re a rather introvert bookworm and a bit (or maybe a bit more^^) socially awkward so it’s really awesome to have you all in my life. I’ve got to know my best friends through blogging and that’s definitely reason #1 for why I love blogging so much, so once again: THANK YOU VERY MUCH! The giveaway is open until Tuesday, March 1st, 12 a.m. and the winners will get notified within 24 hours. If you’re lucky to win you get to choose if you want the English or the German edition of the book. 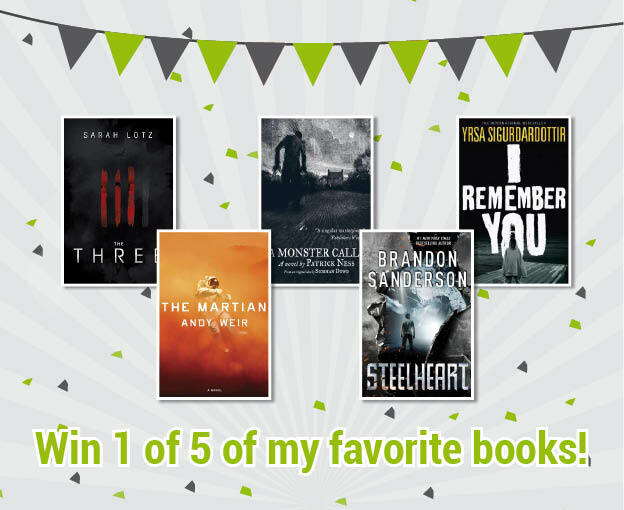 You can only win one of the prizes, in case you win 2 giveaways you get to decide which book you want to receive and I’m going to pick a new winner for the other one. If you don’t answer your prize notification within 48 hours I’m going to pick a new winner, too. Please be aware that you can only participate in the book giveaways if The Book Depository ships to your country (see all the countries here). The bookmarks giveaway is open for everyone. Congrats on 5 years! I ‚m so glad to hear that your enthusiasm for blogging hasn’t really waned over the years – I hope that I can say the same in another 4 years 🙂 I love blogging today as much as I did over a year ago and I hope that never changes. I can’t imagine not blogging anymore, but then again I know that life changes and who knows what will happen. Will I still want to blog if I have kids one day? Who knows 🙂 But I hope so!